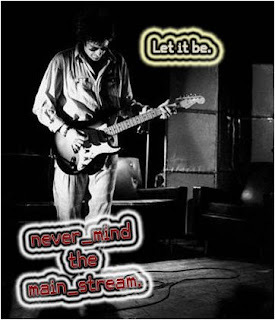 Never Mind The Mainstream on KUR (College Rock Radio): Three. The ones who love us best, are the ones we'll lay to rest. The ones that love us least, are the ones we'll die to please. 3 DAYS UNTIL NMTM AIRS!!! Paul Westerberg. Before he wrote great guitar rock about love and growing older for his solo records, he wrote punk and later post-punk alternative anthems for a generation of rough and tumble kids in the 80's. As lead singer and guitarist of The Replacements, Paul and co. are regarded as one of the most influential alternative bands of the era (if not for The 'Mats, you could guarentee there wouldn't be a Green Day...well, old Green Day. New Green Day is the worst unpatriotic and annoying band I've heard all decade long. Slight exaggeration...). The Replacements were at their best when they realized that punk rock was not their breed and that the best music came from their most vulnerable states (and once they put down the booze, but they were fun wasted, too). They're mid 80's records foreshadow grunge rock and every angsty but heartfelt genre to follow. Foo Fighters? Paul Westerberg: an excellent musician, an experienced drinker, and one hell of a showman. Kudos on growing up, Paul, but we'll always love your immature antics. They will remain timeless.